The bots have won. The Inversion is upon us. More than half of all internet traffic is fake, or at least non-human. And our digital reality will never again be the same. Read the whole thing. Every sentence. It’s a disorienting gaze into our untrustable, shape-shifting future. 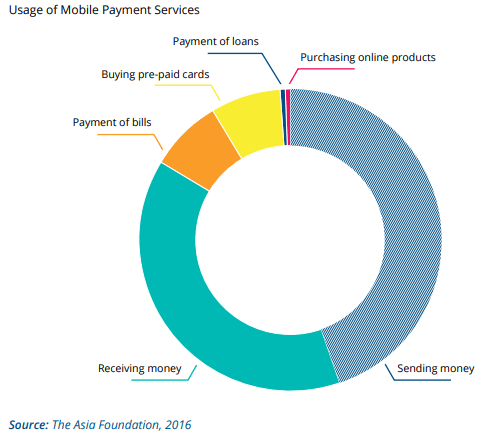 The overall consensus is that Cambodia is not just behind but far behind in the race for digital supremacy. The country lacks in infrastructure, policy, education, and competitiveness, among several other markers. But there are bright spots and success stories, too. For experienced Internet hands, the subtleties of font usage on the Web is probably old hat. But for many newcomers, it’s often a sour pill to swallow – the fonts you use on your computer every day cannot be used on your Web site. In the earliest days of the Web, the number of fonts available to Web designers counted about five. Beautiful typography was non-existent. The source of the problem lied in the fact that when a designer specified a font – Arial, Helvetica or Times New Roman, for example – that font had to be installed on the computer of the user visiting the web site or the font simply couldn’t be displayed. It was impossible to know who might visit your Web site and what fonts he or she might have installed. A solution was first proposed in 1998 with CSS2, but the techniques never caught on. It wasn’t until 2009 that a robust solution finally gained traction: the CSS3 Font Module, which allowed designers to send font files down the pipe just like images. But there was a catch. A few actually, and not small ones. For one, fonts are made by font designers who earn their living from making fonts. Many would not be able to eat if their products flourished freely across the Internet. Browser support was inconsistent, too, which made consistent display impossible at times. By late 2010, however, most of those issues had been solved and a new era of Web typography was in full swing. Yet still the problem remained: the fonts you used on your computer every day could not be used on your Web site. The reasons were two-fold. The first was mostly a technical issue. Many, if not all, of the fonts on your computer are optimized for print, not digital display. So they just don’t look right on the Web. They are too small, too rough. The other reason was a legal one: you only have the right to use, not distribute, the fonts on your computer. So what is the answer? Since web typography has spread, a handful of services have come along to help solve this issue. The two most notable ones are Google Fonts and Font Squirrel. The first offers a library of fonts freely available to use in all your digital projects. The second offers an easy way to package fonts you own into easily shareable web formats. And both are free. Now that you have tons of fonts at your fingertips, take a little time and learn about font pairing and selection. The NYT has the definitive piece. 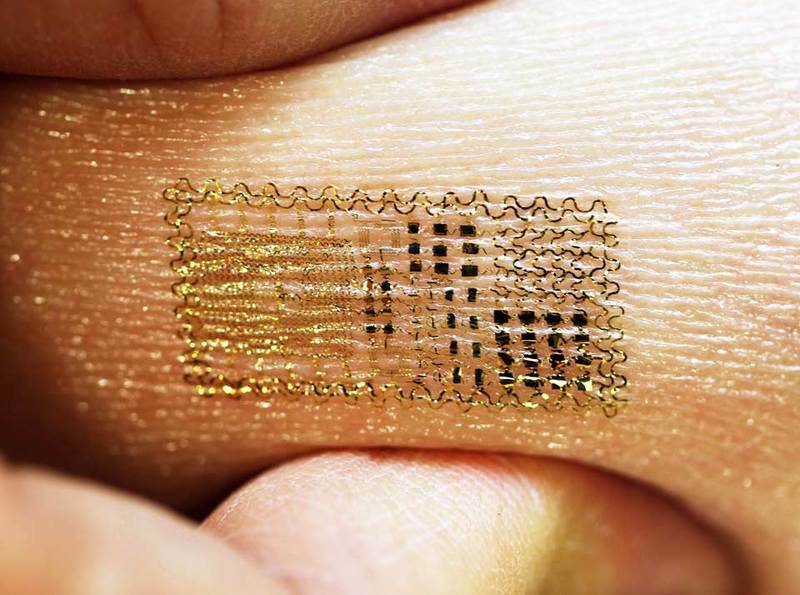 This is crazy mad — super-flexible, self-adhesive silicon circuit boards that can monitor your heart rate and more. Known as epidermal electronics, they can be applied in a similar way to a temporary tattoo: you simply place it on your skin and rub it on with water (see video). The devices can even be hidden under actual temporary tattoos to keep the electronics concealed. … Rogers and his colleagues have separately demonstrated that they can add other useful features to epidermal electronics. Solar cells could one day power the devices without an external source; meanwhile, signals recorded by the devices could be transmitted to a base station wirelessly with antennas. In the long term, Rogers believes the technology could provide an electronic link to the body’s most subtle processes, including the movement of enzymes and antibodies, to track the path of disease. “Ultimately, we think that [our] efforts can blur the distinction between electronics and biology,” he says. The implications for health and medicine are profound. But even for more trivial considerations, the possibilities are truly staggering. Computers that “read” your thoughts are already far along in the testing stages. And a true union of mind and machine would surely create a class technology currently unimaginable. In terms of web standards IE9 is light years beyond anything Microsoft has previously released. Granted, Firefox, Opera, Safari and Chrome are somewhat further along with the more experimental features of HTML5, but given IEâ€™s dominant market share worldwide, IE9 should be a huge boon for HTML5 adoption (provided users upgrade). By the sounds of it, Microsoft, after 10 years of trying, has finally produced a decent browser. Take a test drive. Idle computer hands now have a place to play. HackerspaceÂ Phnom Penh will officially open in January 2011, giving the Phnom Penh IT community a common space to converge. Hackerspace philosophy promotes the idea of knowledge sharing in an open, decentralized society. Dozens of Hackerspace groups exists worldwide. Collectively, the goal of the spaces is to provide “a location where people with common interests, usually in computers, technology, or digital or electronic art can meet, socialise and/or collaborate,” according to the Hackerspace entry on Wikipedia. Hackerspace groups support themselves by collecting membership dues. Students in Phnom Penh, for example, pay just $10 per month to receive 24-hour access to the Hackerspace facilities, including high-speed Internet, community workspaces and audio-visualÂ equipment. The slide in e-mail does not reflect a drop in digital communication; people have just gravitated to instant messaging, texting and Facebook (four billion messages daily). That Facebook is the new new should come as no surprise. Facebook also killed the â€œccâ€ and â€œbccâ€ lines. And hitting the enter key can immediately fire off the message, Ã la instant messaging, instead of creating a new paragraph. The changes, company executives say, leave behind time-consuming formalities that separate users from what they crave: instant conversation. Facebook, of course, has a horrifying record regarding security and privacy. The site is literally an Openbook. So what will happen once it owns half a billion people’s private messages? If nothing else, it’s going to be funny.